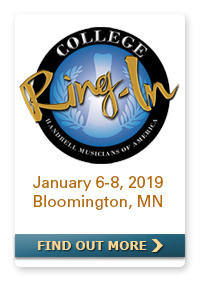 You can still register for College Ring-In, January 6-8, 2019, in Bloomington, Minnesota (near Minneapolis). 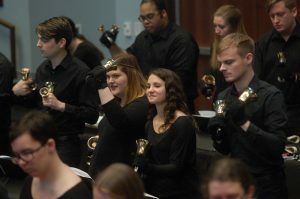 College Ring-In is an event for college students and recent alumni and features three days of ringing under the direction of Carolynne Mathis and culminating in a public concert on the final evening. Participants will be given their own individual ringing assignment to prepare in advance and the join other attendees to rehearse and polish the music for the final concert. The event also includes a reading session of unpublished compositions and arrangements submitted by participants. 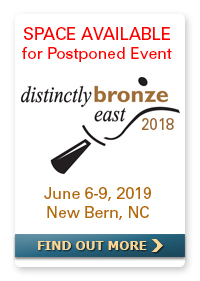 We’ll have publishers and editors from the handbell industry on hand to provide advice and guidance regarding copyright permissions and the publication process. Beginning in 2019, we are offering quarterly webinars giving members the opportunity to connect directly with national board members. 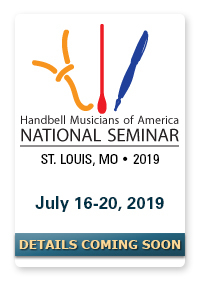 Ask questions, discuss goals, and offer your ideas and suggestions related to the direction and future of Handbell Musicians of America. From your laptop, your tablet, or even your phone, NOW you can look at, listen to, and purchase great AGEHR MUSIC selections for the coming Spring. With your convenience in mind, we’ve assembled a collection of brand new and “tried and true” pieces for your consideration. Take a moment and enjoy some wonderful handbell and handchime music for Springtime. It’s all just a click away. 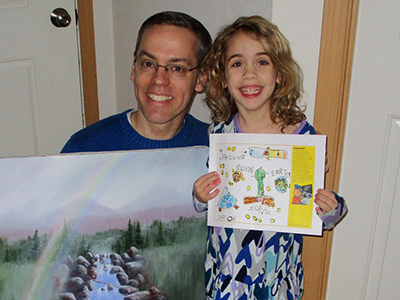 Looking for the Right Gift for your Ringers or Director? Watch your email and our Facebook page Monday, Nov. 26 for our Cyber Monday deals, including discounts on sub-memberships, E-Press music titles, Handbell Bucks and more. Handbells are a special part of the holidays. People around the world look forward to hearing bells ring in celebration of this season of giving. 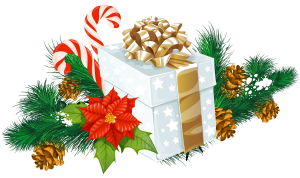 We know many of you will be giving the gift of music by performing in concerts, church services, and holiday celebrations throughout the month of December. On Tuesday, November 27, you will have the opportunity to give financially to Handbell Musicians of America by participating in the nation-wide Giving Tuesday Movement. You can join the Giving Tuesday movement and support our mission with your charitable gift to Handbell Musicians of America. Your gift today will help us continue to provide the services and resources that support YOU as we work together to advance the musical art of handbell and handchime ringing through education, community and communication. Our featured piece this month is a fun new original piece entitled “Ritmico,” AG25005, by Ron Mallory. It’s a Level 3- piece for 2-5 octaves of handbells. It has a subtitle of Rhythmic Rejoicing. “Ritmico” was written as an entry for an Area 3 composition contest, which called for pieces for 2-5 octaves of bells with the option of adding additional instruments. 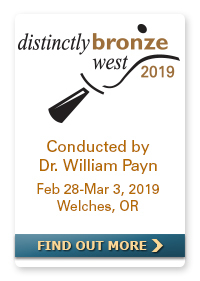 I also wish to call your attention to our new Spring Music 2019 Promotion which was sent as an email to many and which is online right here. http://handbellmusicians.org/music-promos/special-music-promo-spring-2019/ The aim is to make browsing and shopping for you easy and convenient. This Spring Promotion is a combination of brand new pieces and some “tried and true” favorites for Lent and Easter and festival. We hope you will enjoy sitting with your laptop or tablet, or your smart phone wherever you are to look and listen to some great AGEHR Spring music selections. 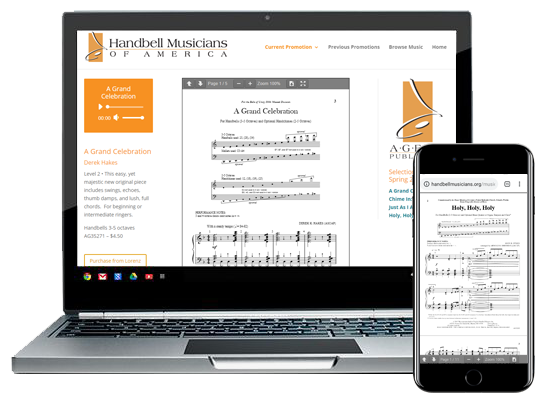 We hope you will enjoy this new method of browsing and discovering new handbell and handchime music.